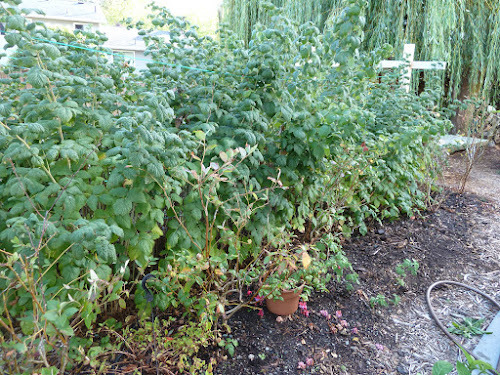 My Home and Garden: Amanda's blueberry walk has been overtaken. Time for action. Amanda's blueberry walk has been overtaken. Time for action. Look at this poor row of blueberry plants. 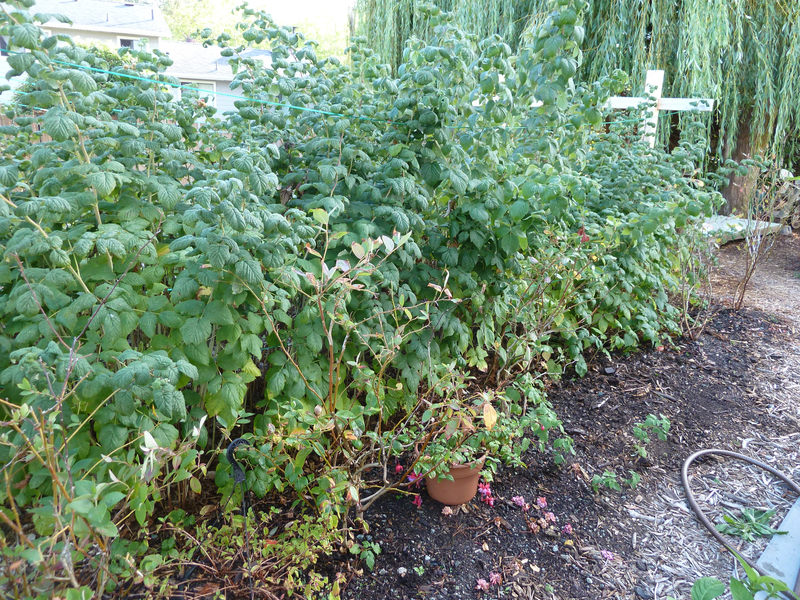 You can hardly see them because of the HUGE Tulameen Raspberry patch. 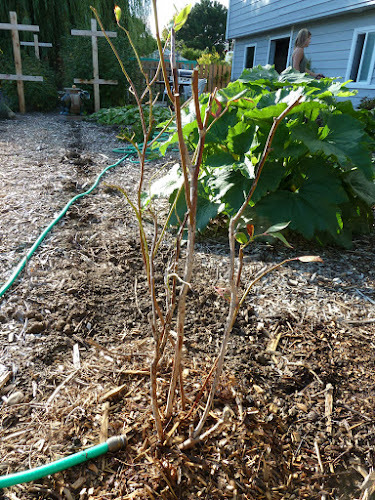 The blueberry plants have dropped most of their leaves and have substantial dieback. We decided today to take the very worst one and move it. 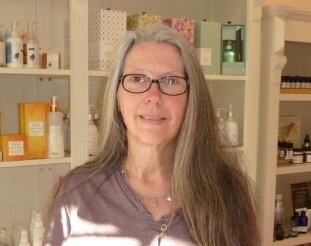 We chose our new location and here is the first one in its new home. 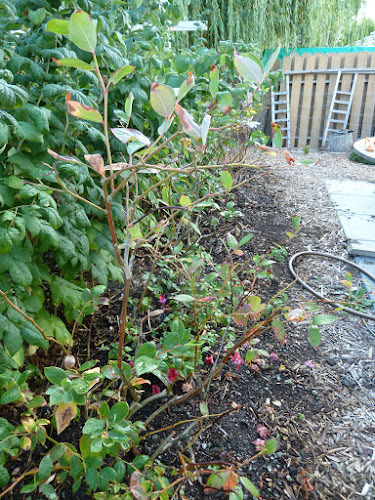 The dieback has been removed and the plant pruned back. We seriously hacked at the poor root ball. 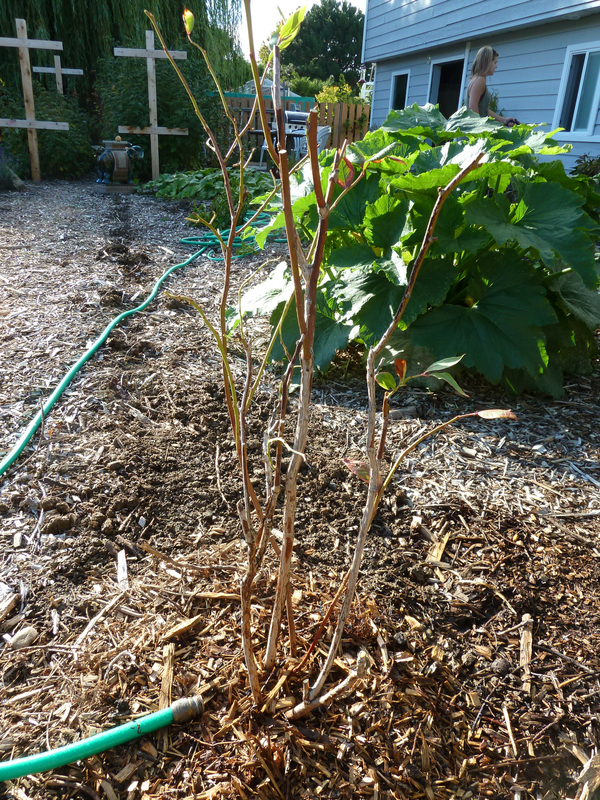 I think we got all of the raspberry roots out of the blueberry roots, but we shall see. 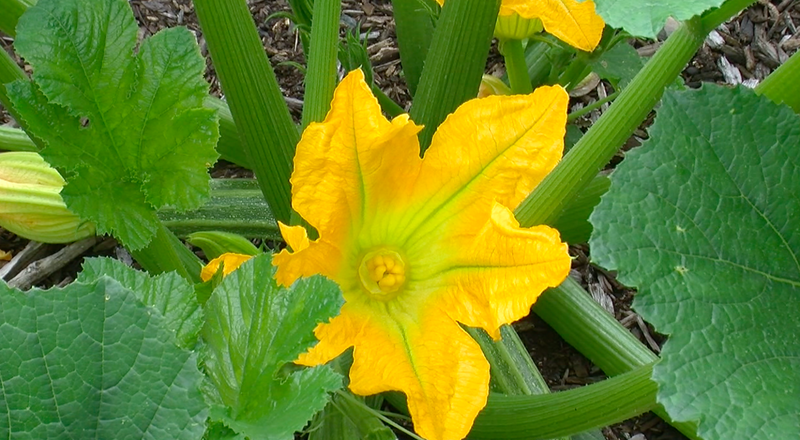 Here you go little plant. Good luck.